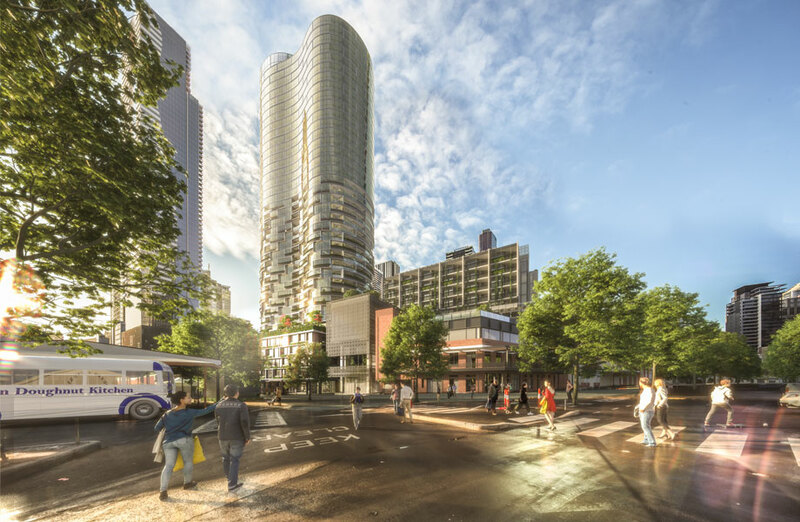 Construction has commenced on the $450 million Munro development adjacent to the Queen Victoria Market Precinct Renewal program in central Melbourne. The project comprises significant new community facilities, interconnecting laneways and a hotel and residential development adjacent to the $250 million redevelopment of the iconic market. The City of Melbourne purchased the site, at the corner of Queen and Therry streets, for $76 million in October 2014 from the Munro family who had owned the site since 1910. The site was purchased “to protect the market from inappropriate development and prevent a supermarket or large chain stores being built in direct competition to fresh food offerings of the Queen Victoria Market”. Plans for the site were unveiled in early 2017 and was given the green light in July 2018 by Planning Minister Richard Wynne. Timelapse of demolition before major development alongside Queen Victoria Market. Last year Melbourne's Queen Victoria Market became the 114th location to be added to the nation's list of important heritage sites. The market's $250 million five-year restoration program is now under way with plans to refurbish the site's 140-year-old sheds and excavate for a 200-space car park beneath its A to D sheds. 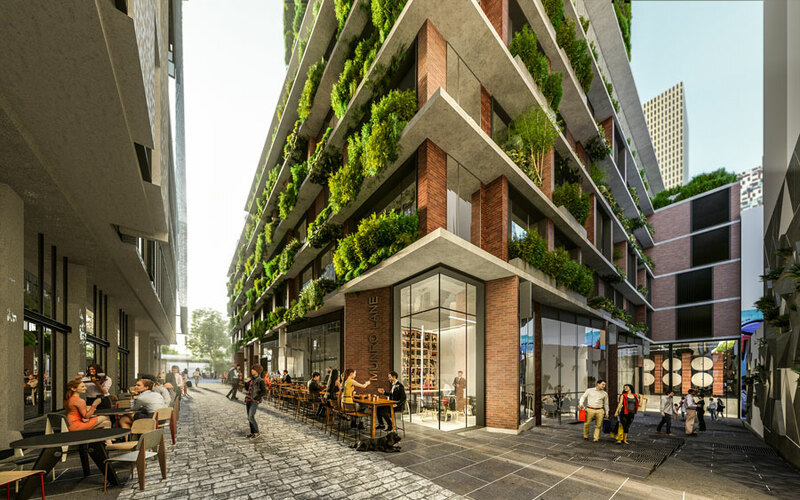 The Munro development will now act as a key project alongside the Queen Victoria Market Precinct Renewal program to provide an “exemplary mixed-use development that provides tremendous benefits to the community”. The Munro site project involves a deal with developer PDG Corporation to deliver $70 million in facilities including a 120-place childcare centre, 56 affordable housing units, a community centre and kitchen, and 500 basement car parks for market customers. PDG is also undertaking its own development on the site, QVM Residences, comprising a 320-apartment residential tower which will include an 80-room hotel. The site will now house two towers reaching 38-storeys and 10-storeys. The development includes 500 basement car parks for market customers to help make the market more accessible for shoppers and freeing up the current surface car parking site for a new “Market Square”. 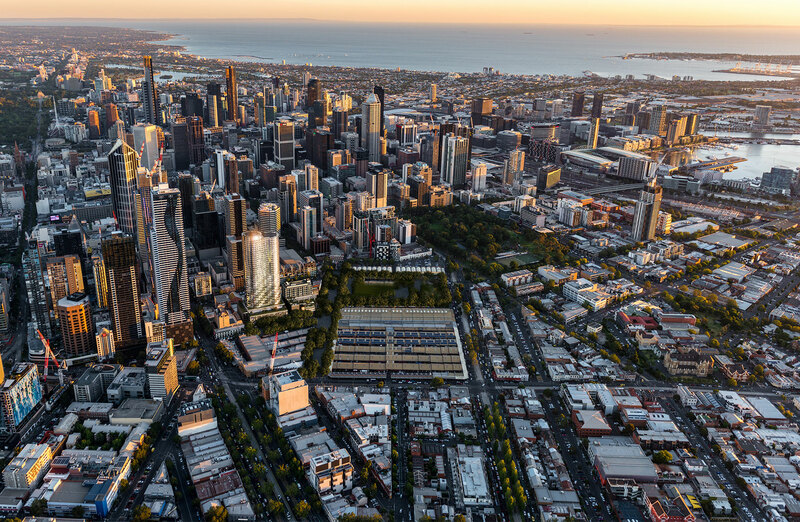 PDG Corporation managing director Vince Giuliano said the development is an important step forward in realising City of Melbourne’s ambitious plans for the Queen Victoria Market precinct. “In collaboration with the City of Melbourne, we are now able to continue advancing Melbourne’s premier mixed-use project – a development that will be leading-edge for sustainability and liveability next door to Victoria’s most beloved and visited icon, Queen Victoria Market,” Giuliano said. The investment into new infrastructure, community facilities and pedestrian-friendly spaces comes in anticipation of 24,000 new residents expected to call the market precinct home by 2040. “We’re delivering a new network of interconnecting laneways featuring retail stores, cafes, and restaurants,” City of Melbourne lord mayor Sally Capp said. The Lord Mayor has also noted that the historic Mercat Cross Hotel facade on the corner of Queen and Therry streets will be retained and carefully restored as part of the development. The Munro development, which is being built by Melbourne-based Hamilton Marino, is scheduled for completion in 2021.